Teachers in public primary and secondary schools in Abia have embarked on strike to protest alleged government’s failure to pay their salaries. The News Agency of Nigeria, NAN, reports that schools in the state were supposed to reopen on January 9 after the Christmas and New Year holidays but resumption was postponed to January 16. NAN learnt that the teachers refused to resume, insisting on the payment of their outstanding five months salary arrears. At Ibeku High School, Umuahia and School Road Primary School, Umuahia, students and pupils, who turned up for school, were seen leaving the premises in droves. The Principal of Ibeku High School, Ojike Kalu-Ojike, told NAN in his office that the teachers were attending a meeting over the situation. An executive member of the state branch of the Nigeria Union of Teachers, NUT, however, told NAN on condition of anonymity that the teachers had proceeded on strike. “The teachers have gone on strike to demand the payment of their salaries,” he said. The source said that secondary school teachers were issued their salary cheques for July 2016 in December, while their primary school counterparts were just receiving theirs. He regretted that “this is the first time teachers in Abia were paid with crossed cheques,” adding that “while some cheques cleared, many are yet to clear as I am talking with you’’. He said that the initial resumption date was shifted to January 16 by the government with a promise that the August and September salaries would be paid simultaneously before the new resumption date. “Today, the new date has come and we did not hear anything from the government, not even for August,” he said. He said that teachers in Abia “are going through hell,” saying, “It has never been so bad. “It has become increasingly difficult for Abia teachers to feed and fend for their families. “We have cases where some of us have to withdraw our children from the university because of lack of money to pay their fees. “One pathetic case was that of a teacher in one of the secondary schools who could not raise N60,000 acceptance fee for his son’s admission to read medicine at the state university, Uturu,” he said. Some of the teachers, who also spoke, wondered why the state government could not deploy the N10.6 billion Abia share from the Paris Club’s refund to clear the backlog of workers’ salaries and pensions. When contacted, the Commissioner for Education, Ikechi Mgbeoji, told NAN in a telephone interview, that he had scheduled a meeting with NUT executives on the development. Meanwhile, private schools in the state have reopened fully for the second term. The turnout of students and teachers was impressive in the schools visited in Umuahia North and South Local Government Areas of the state. At Gradiel International School, Ohokobe-Afara, Umuahia, and Intellectual Giants Christian School, Government Station Layout, Umuahia, teachers were seen conducting classes. “This is second term and fresh registrations are not usually much so we do not waste time to commence teaching and learning, ‘’ a teacher with Gradiel International said. 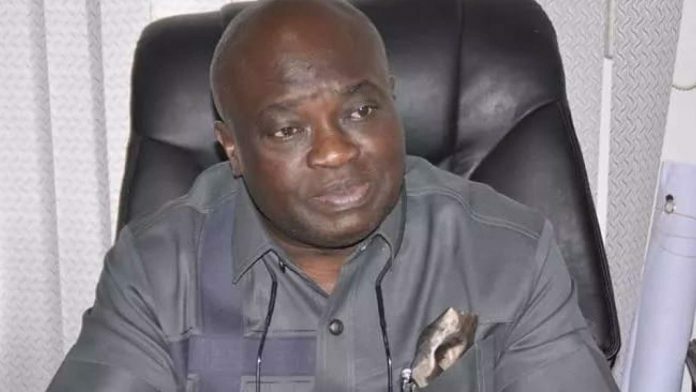 Abia received N10.6 billion from Paris Club refund but the government said it would set aside N5.3 billion to offset part of the arrears of workers’ salaries and pensions.